Egyptians created lemonade more than 1,500 years ago. This popular drink was called “qatarmizat” and was consumed between the 10th and 13th centuries. Lemon juice has several health benefits associated with it. It is well known as a useful treatment for kidney stones, reducing strokes and lowering body temperature. Batroun is surrounded by citrus groves and lemonade is a local specialty. In the heart of it, stands a lemonade shop that has been serving lemonade for 3 generations. Chez Hilmi is over 100 years old and is owned by the Abdel Rahim family who are originally from Batroun. Mohamad Abdel Rahim, the grandfather, first established a pastry shop there. By the time his son Hilmi took over, the locals were facing challenging times trying to sell their crops of lemons. He thus suggested a simple yet brilliant idea of making lemonade and selling it. 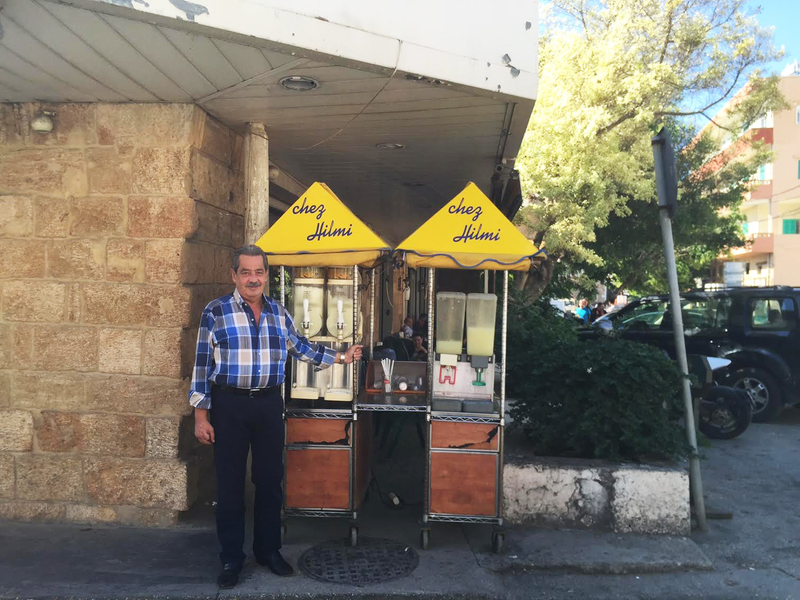 In 1963 he moved his shop to the main road and called it chez Hilmi, and hence was born the Batroun lemonade. Nowadays, Hilmi’s son, Raed runs it. Rubbing lemons against each other, rather then being pressed gives their lemonade that special taste. The juice is then mixed with sugar and orange blossom water and served in a long glass. When life gives you lemons, you better make one heck of a Batrouni Lemonade out of it, Hilmi style! But what do you do when bushels of lemons surround you? You find people, joyful people, positive people, sweet people and you make lemonade, gallons and gallons of it and you drink to life. One last tip when you visit, have the lemon ice cream, I love it more then the lemonade. It’s a little drop of ice heaven in your mouth!